It is a difficult time when a loved one passes away, it’s something which we have all had to deal with at some point or another. When the time comes that you do pass away, formalities and important decisions regarding funeral arrangements are often left to your loved ones to take care. They will want a service which does justice to the love they have for you. These important decisions left for your loved ones to organise can be dealt with now by organising a Prepaid Funeral Service. There are many benefits to organising a Prepaid Funeral Service; for a start you are locking in a definite price, essentially paying for tomorrow’s funeral at today’s prices. Choose a budget to work within, and we will help you achieve it. We can work with you to make sure that the service you have is the service that you want. All funeral arrangements can be made with our friendly staff, including whether you want a traditional burial or a cremation, the cemetery of your choice, the coffin, floral arrangements, whether is it a private or public service, whether you wish for a religions or non-religious service. You can choose the service details such as the music you wish to have played, or a photography tribute or video. The possibilities are endless as you make the arrangements beforehand. 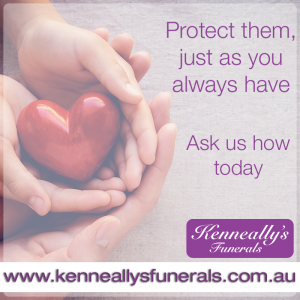 By opting for a Prepaid Funeral Service, you will be allowing your loved ones to grieve their loss of you, giving both them and you solace in the knowledge that the arrangements are finalised. Let your funeral be a celebration of your love for each other. Call us on 02 4620 8822 to help you organise your Pre-Paid Funeral Today.